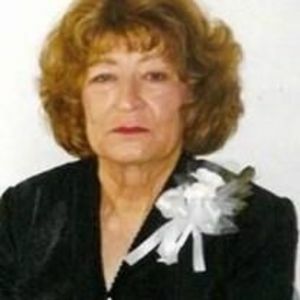 Edwina Stanfield Cobb, age 86, of Rocky Mount, NC passed away on Saturday, August 1, 2015. She was born on November 10, 1928 to John Edgar Stanfield and Betsy Ruffin Stanfield. In addition to her parents, she was preceded in death by her husband Douglas M. Cobb; brothers, John Raymond Stanfield and Edgar Pittman Stanfield. Edwina is survived by her son Steve Cobb and wife Sylvia of Rocky Mount and their children Candy Tyson, Gerald and Tambre Thomas, Duane Williams, John and Brandy Williams, Kristy and Wade Harper, grandchildren and great-grandchildren. She is also survived by her daughter Shirley Joyner and husband Clark of Rocky Mount, granddaughter Chrissy Rhodes and husband Bruce, and great-grandson Tanner Rhodes. She leaves behind a brother Robert Stanfield of Rocky Mount and sister Janice Barfield of Tarboro. A funeral service will be held on Wednesday, August 5, 2015 at 12:00pm with visitation beginning at 11:00am at Johnson Funerals and Cremations, 661 English Road, Rocky Mount, NC. The service will be officiated by Reverend Joe Price. Burial will follow at Rocky Mount Memorial Park. The family would like to extend their most gracious thank you to Golden Living Center and Vidant Edgecombe Hospital, Tarboro, NC, for their special care of Mama during her final weeks, and to the many friends who have shown an outpouring of love and support during her illness and passing. Flowers are welcome or memorials can be made in Edwina’s memory to Golden Living Center, 1000 Western Blvd., Tarboro, NC 27886 c/o Sherri Dudley.